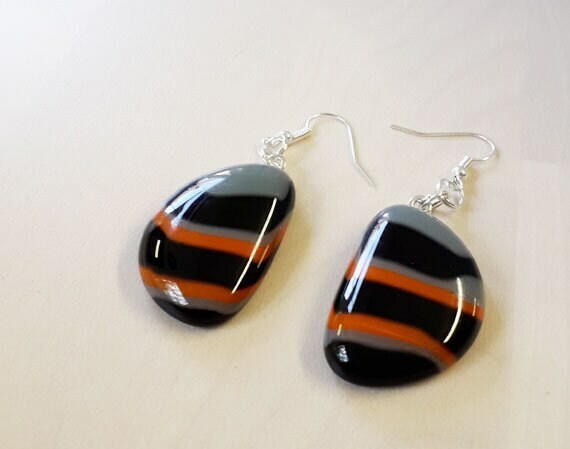 Fused glass earrings, made from orange, black and grey fused glass on silver. 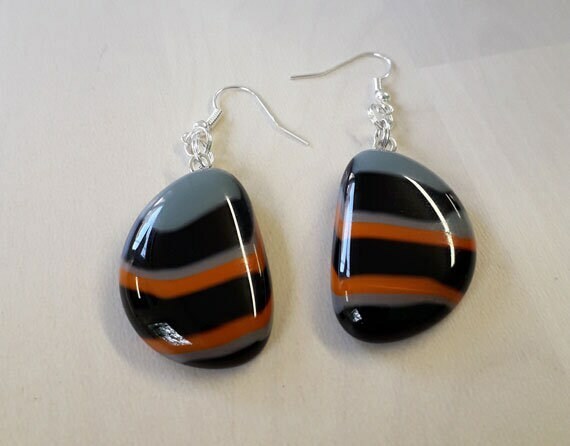 Dangly fused glass earrings made from black, orange and grey glass. These are about 31mm long and 21mm wide, so big enough to stand out while not being especially heavy. 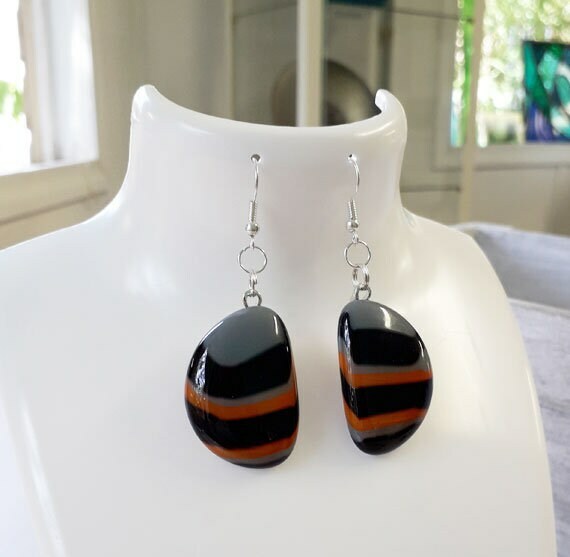 They're very comfortable to wear, and hang on sterling silver wires.